Make more meaningful connections with your clients with an easy-to-use client relationship management app. 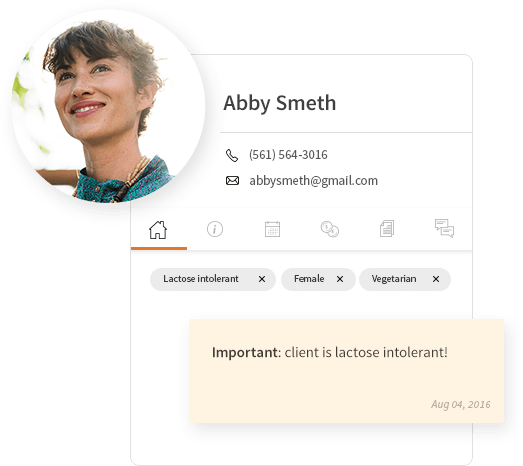 Instantly connect names to faces and keep your crucial client data handy at a moment’s notice. With custom client records cards, you’ll never miss a beat when it comes to keeping track of who’s who. The more you know your clients, the better you can serve them. Keep a detailed history of your client records in context at your fingertips – instant access to client records translates to stellar service every single time. Looking to “wow” your future clients from your first point of contact? 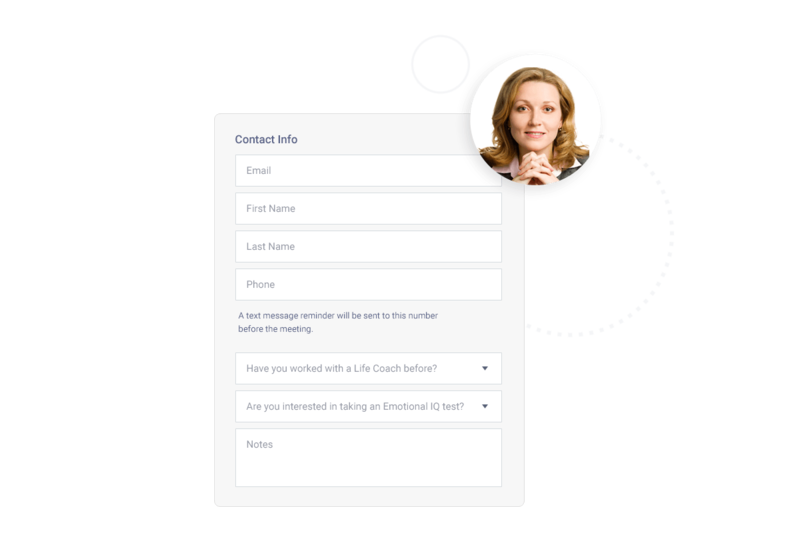 Our contact management system can do the trick with a friendly contact form on your website. Gather everything you need to know to make an awesome first impression with a custom client intake form. 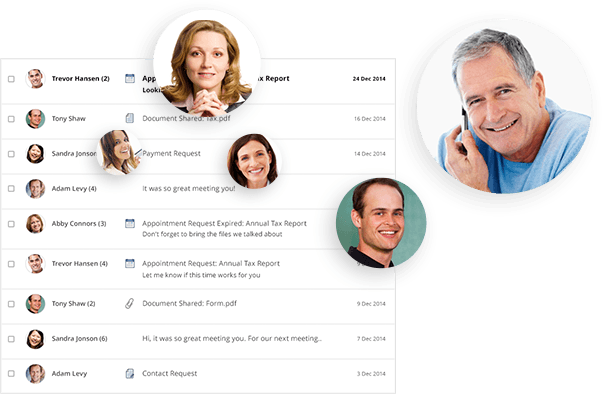 The only client management software that will help you manage AND grow your client base. Get organized – it's easy! With all of your client data stored in one place, organization becomes second nature. Find every little detail about your clients without digging through your inbox or calendar. Add private notes to your client cards, making sure you’re always on top of the conversation and can pick up exactly where you left off. Jot down and save any essential information as you go along – making it available for you and your team just when you need it most. Just because you’re away from your desk doesn’t mean your business stops running.  With a mobile app for Apple and Android, you can easily manage leads and clients while on-the-go (and even assign client requests to your staff members so they can continue the conversation). With all your clients’ information in one place, organization and communication becomes a breeze. 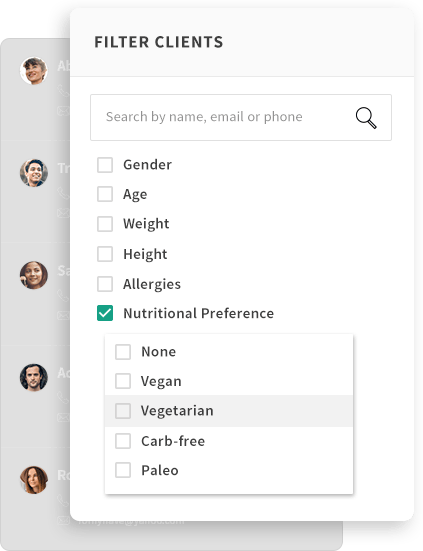 Streamline your communication by assigning tags to clients and grouping them into categories (“returning clients,” “VIPs,” “dormant clients,” etc). Tagging makes it easier to mass email clients when it’s time to announce a new service or check in with clients you haven’t heard from in a while. Every new contact that comes in through vCita is a chance to build a lasting relationship with a new client. Pure and simple, vCita makes me look good – organized, responsive, competent, and caring. What better introduction is there? Because vCita runs on multiple platforms, I can take my business with me when I’m away from my desk and work from anywhere. Build stronger customer relationships, save time and expand your business.